The smartwatch industry is certainly looking as though it is moving in the right direction, there is no doubt about it. However, with the likes of the Moto 360 being announced left and right, is there a market for “dumber” timepieces, so to speak? Fitness buffs might be looking forward to the Wellograph sapphire crystal wellness watch that happens to be the winner of CES 2014’s Innovations Design and Engineering Award. 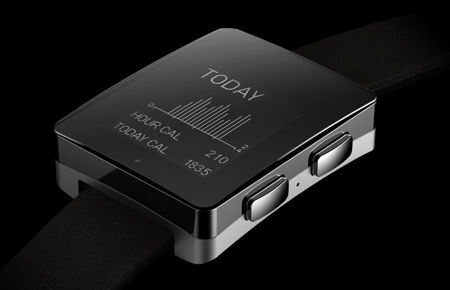 Wellograph happens to be an activity tracker, in addition to being a heart rate monitor and a running watch, all crammed into one, delivering live, insightful information concerning the wearer’s activity thanks to a slew of high performance sensors (9-axis motion sensor and tri-LED integrated heart rate sensor). The Wellograph will also be able to measure other indicators such as steps, pace, idle time, calories burned, and heart BPM, among others. With a sapphire crystal face that is on par with that of luxury timepieces, you can be sure that its scratch proof surface (other than diamonds) will serve you well for the longest time. It has a 7 day battery life and will support iOS, Android, and Windows Phone platforms – sorry, BlackBerry users. Expect the Wellograph’s pre-ordered units to arrive at the doorsteps of customers this coming September 12th.